Fill out this form each semester to receive GI Bill benefit payments. 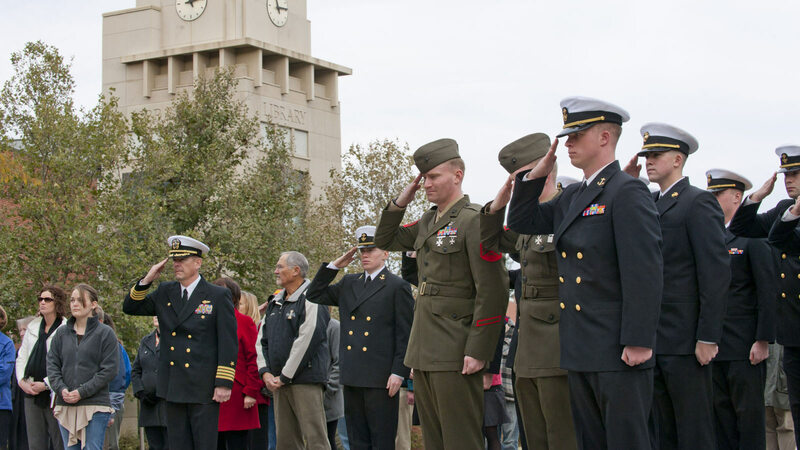 Visit the giving page and search "Dan Button Student Veterans Endowment" in the Designation field. Bearing the name of alumnus Gen. James F. Amos, 35th Commandant of the U.S. Marine Corps, the U of I Veterans Center is located in the Idaho Commons Room 305. "The Veterans Assistance Office at [University of Idaho] was a great influence in why I chose to attend U of I. No other university offered me so much help from the time I was applying to colleges to the time I graduated." "Scott has been a huge help when it comes to the GI Bill and reminding me when and what I need to turn in each semester to insure that my benefits will be up to date and ready when I need to use them. Top notch performance from a stand up gentleman." "Your office is the reason that I chose to attend University of Idaho. The staff have been supportive of my education the entire time I was completing my degree and I can't compliment them enough." Our office exists to help you apply for and receive VA education benefits whether you are a veteran, guardsman or reservist, on active duty, or a dependent of a veteran. Email the Veterans Assistance Office at veterans@uidaho.edu or call 208-885-7989. Service members should contact their local installation Educational Services Officer (ESO) for counseling and tuition assistance guidance. If you need assistance locating your ESO, contact our Veterans & Military Advisor at veterans@uidaho.edu or 208-885-7989.